Every year, World Mental Health Day serves as an opportunity to raise awareness of mental health issues and mobilize efforts in support of them. For a long time, there has been stigma around talking about mental health in the workplace. 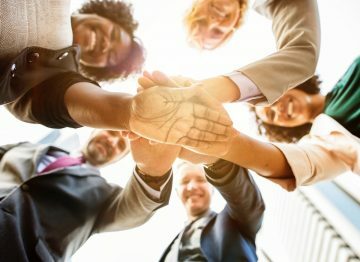 However, increasingly, the dialogue is starting to open up and employers are recognizing how important it is to focus on the mental wellness of their employees. Work-related stress is a real problem that can negatively impact health and safety. Considering that 40 percent of American workers describe their jobs as “very stressful”, employers and employees alike need to consider how to better manage stress at work. 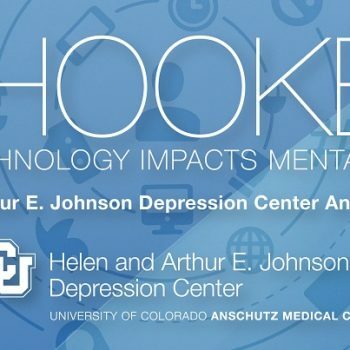 We talked to Alexandra Yannacone, Community Programs Manager at the University of Colorado School of Medicine, about stress in the workplace, how we can manage it and support others going through it. Working in the Helen and Arthur E. Johnson Depression Center, Alexandra manages all of their education and programs around mental health – providing training for the community, whether it be schools or workplaces, on a broad range of mental health issues. One of those is stress management. She helps coach people on how to recognize stressors so that they can take measures to prevent them. Stressors, she says, can range from a project at work, to things at home, to bigger picture, long-term concerns. A lot of the time people’s stressors are work-related like big projects they have on their plates or home-related things like taking care of older parents. These are stressors that we can do something about. Alexandra also shared how we can recognize stress in our coworkers. She says you might notice a change in a coworker’s behavior, like if they go from normally energetic and social to being isolated and pulling away. Once you recognize it you can address it and offer your support. “Often, we project what we would find helpful for ourselves in these situations, but often it’s better to actually ask them what would help them,” Alexandra says. “A lot of the time we talk about stress – but it might be something bigger. It’s about helping them be connected and doing our best to be supportive. But if it’s something that’s out of our hands, it’s about making sure they have the connections to get support if they need it through an Employee Assistance Program or similar. Finally, Alexandra discussed the importance of creating a positive work environment where everyone feels they belong and encouraging and supporting the mental wellness of employees.